In the Chinese Herb Garden at the University of Bristol Botanic Gardens we at present grow six Chinese Schisandra species: S.chinensis, S.rubriflora, S.grandiflora, S.henryi var yunanensis, S.aff bilcolor, and S.aff.plena. We are currently sourcing S. sphenanthera. 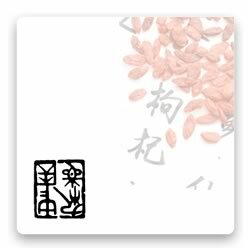 The main sources of the herb wu wei zi (five flavour seed) are: S.chinensis (bei (north) wu wei zi) and S. sphenanthera (nan (south) wu wei zi). Bensky also lists eleven species used as local source plants for wu wei zi. Nineteen species in total are used in Chinese medicine. The distribution of Schisandra is divided between Asia and North America, which at one time were joined before the action of plate tectonics. There are twenty four Asian species, at present distributed from the Himalayas through China and Japan to Malaysia.